Although it's a little over 40 degrees here in NYC, we know that EVENTUALLY warmer temps will be here and the need for sunblock will become that much more of a "must have" in our daily routine. We actually MUST wear sunblock daily and these products offer a defense against harmful UV rays and environmental free radicals. The Umbra Sheer Physical Defense is a broad-spectrum, cell-energizing sun block that is loaded with antioxidants to fight free radicals, while delivering powerful UV protection and anti-aging benefits. This unique water-resistant physical block is formulated without any chemical sunscreens, which are known to cause irritation and not as effective as the natural alternative. 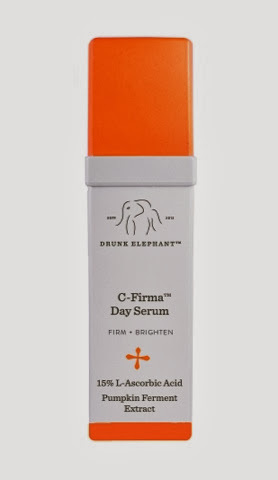 A super potent Vitamin C serum packed with a powerful antioxidant complex, essential nutrients, fruit enzymes and an anti-aging chronopeptide all working together to firm and brighten skin while preventing and correcting photoaging. This revolutionary serum evens skin tone, fights cellular V damage, stimulates collagen synthesis and optimizes skin physiological activities of defense and cell regeneration.